The business format franchise came from an earlier model called the “trade name” franchise. The big change was in the rights. During the “trade name” days the franchise owner only had marketing right’s, now franchise owners have owning rights to the entire business including systems. This has allowed for a shift in focus to go from the quality and name recognition of the products carrying the business to sales techniques that carry the business. If you are considering purchasing a franchise, talk with one of our experienced business coaches by replying to this email. These beliefs lead to specific actions such as working more hours and putting forth more effort in a vain attempt to increase revenue and profits. That leads to specific results such as feelings of overwhelm, anxiety and frustration… and a deep-seated belief that more and more effort is required, even though results seldom if ever appear. Are you hiring, assigning, delegating or bartering all of your non income-producing and less productive tasks? 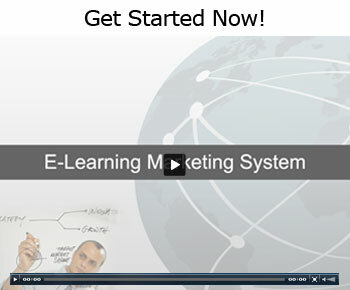 Our E-Learning Marketing System™ does all of this… and much, much more. But don’t take our word for it. Let me show you right now how a business owner can change the way they think about their business… and do so in such a way that it creates a dramatic increase in effectiveness and revenue visit http://resultsproducerstan.com/guidedtour for a Test Drive. Here’s video #3 in our four part series. We specifically designed this powerful series of video presentations to spotlight specific components within our E-Learning Marketing System so we could show you firsthand the world-class, lead-producing, revenue-generating content you will have unlimited access to when you become one of our valued members. Although the E-Learning Marketing System has been called the single, most powerful client attraction program available today, we want you to see for yourself exactly how it will help you build a market-dominating business. We created this powerful video series to prove to you that our E-Learning System will indeed make you money. So let’s get started with today’s money-making presentation. In our first two videos, we helped you create your own “million dollar message.” We showed you how to write your own elevator pitch using our proprietary Elevator Pitch Template in creating your own compelling marketing message. Then we helped you create a lead-generating, revenue-producing business card that contained a powerful, yet irresistible offer on the back specifically designed to compel qualified prospects to seek out additional information about your product or service… and to provide you with their contact information for future follow-up marketing. That offer should be located on a highly targeted landing page. Close to 80% of all shoppers begin their product or service searches online. Unfortunately, most small business owners use website designers to design and build their websites and landing pages. Although their sites look terrific, they fail miserably when it comes to generating leads and attracting new clients. This video will change that forever for you and your business. Video #3 will uncover the hidden secrets you MUST know about revenue-generating websites and landing pages. We’ll reveal to you the “insider secrets” that the top-producing websites all have in common, and how you can tap into the closely guarded secrets to successful online marketing. Just click on the link below and we’ll help you create a landing page that will attract all the leads and clients your business can handle.